Filomena Incoronata Venditto and her husband, Gennaro DiIanni, first appear in the Painesville, Ohio, area in 1915. 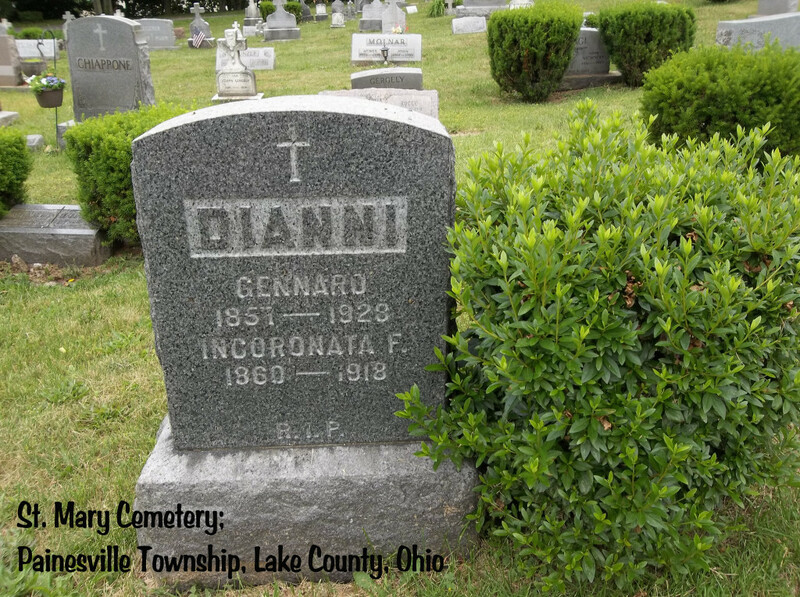 Gennaro and his wife migrated to Painesville about 1915 from Akron, Ohio. In America, Filomena was known by her married name, Filomena Dianni. Filomena Incoronata Venditto, daughter of Valentino Venditto and Maria Colozza, was born on April 30, 1859, at Macchiagodena, Italy. She married Gennaro DiIanni, son of Donato Rocco DiIanni and Mariantonia Rivellino, on September 17, 1881 at Macchiagodena, Italy. Filomena died on April 27, 1918 at Painesville Township, Lake County, Ohio, at age 58, of apoplexy. Her body was interred at Saint Mary Catholic Cemetery at Painesville Township, Lake County, Ohio. 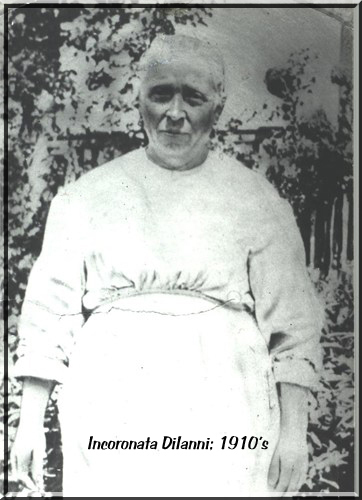 Filomena Incoronata Venditto, age 51, immigrated to the United States on August 2, 1910, travelling to Arkron, Ohio, joining her son, Donato Carmine DiIanni. She was travelling with her husband, her son, Felice DiIanni, and her daughter, Giuseppa DiIanni. Another daughter, Lucia, migrated to Painesville in 1909.